I don’t know anything about this volume or its author. But the topic is one that is surely understudied and for that reason alone this volume is one to look forward to. There’s been a substantial amount of quality linguistic work on Greek coming out of Italy over the past decade or so. I’m looking forward to getting a glance at this volume in the summer. I anticipate it will be an important contribution to the ongoing discussions of the Greek perfect and its morphology that have been taking place over the past couple years. This volume is on Modern Greek. Nevertheless, I’m hopeful that the insights and ideas will at least be relevant to earlier periods of the language. As a bonus, here’s an actually affordable volume albeit a short one. I’ve had a chance to look at it briefly, but not enough to develop a strong opinion about it. I do, however, place a high value of the scholarship of its authors. I would encourage anyone interested in Ancient Greek grammar, even if its just Koine, to take some time at least reading about earlier ears of the language and proto-language. Responsible grammatical analysis requires a pan-chronic view of the language. 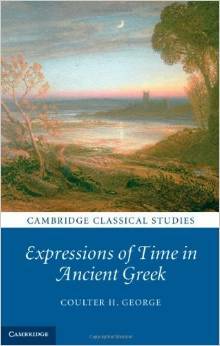 I also just found that Coultier George has a new monograph that was released this past fall that follows up on his Expressions of Agency in Ancient Greek, aptly titled: Expressions of Time in Ancient Greek. I just ordered a copy and am looking forward to perusing its contents next week. How did Ancient Greek express that an event occurred at a particular time, for a certain duration, or within a given time frame? The answer to these questions depends on a variety of conditions – the nature of the time noun, the tense and aspect of the verb, the particular historical period of Greek during which the author lived – that existing studies of the language do not take sufficiently into account. This book accordingly examines the circumstances that govern the use of the genitive, dative, and accusative of time, as well as the relevant prepositional constructions, primarily in Greek prose of the fifth century BC through the second century AD, but also in Homer. While the focus is on developments in Greek, translations of the examples, as well as a fully glossed summary chapter, make it accessible to linguists interested in the expression of time generally. Thanks for these. 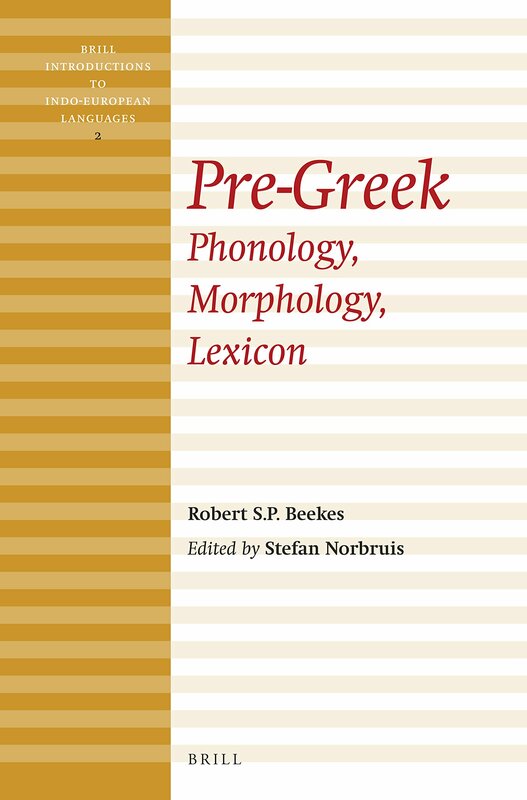 If I understand Beekes’s notion of Pre-Greek correctly, it is not a proto-language ancestral to Greek, but rather a non-Indo-European substrate language in the Aegean that influenced Greek (rather heavily). That’s correct. Beekes makes a conscious choice to use the term Pre-Greek to distinguish it from Proto-Greek. It’s a fascinating thesis. Hey Mike, did you ever get round to reading this? If so, any thoughts? Which book? I’ve read through Coulter George’s Expressions of Time, but I have sadly not had a chance to crack open the others. Groan, sorry. Was focussed on Coulter and forgot to specify that. It looks interesting but could only find one review online with others sitting behind a pay wall. I’m Matt longhorn from bgreek by the way – name truncated due to my wordpress account name.